We are one of the world's leading manufacturers of sophisticated software-controlled car park management systems. Well over 6,000 of our systems are installed worldwide today, with another two being added to this number daily - from the simple hotel garage to large complex projects in which thousands of parking spaces are administered or networked across a city. 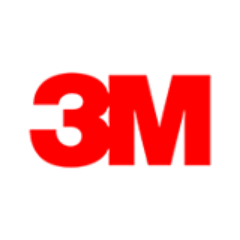 Our partners are airports, hospitals, shopping centres, construction companies, local authorities and the different operators of these facilities. Our group's headquarters is in Kiel. Today DESIGNA's products are known from Dubai to Singapore and from Warsaw to Cape Town for being state of the art in terms of reliability, efficiency and user friendliness. With over 250 employees we are represented in more than 60 countries with sales and service branches and subsidiaries in Paris, London, Milan, Budapest and Vienna. Carlo Gavazzi was a man who saw a future in automation in the days when it was seen by most as pure science fiction. The history of the business is a fascinating story of innovation. 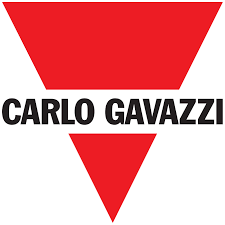 Today, Carlo Gavazzi's products are installed in a wide variety of state-of-the-art, hi-tech products and processes all over the globe. More than 80 years of growth From our earliest days in Milan, Italy, Carlo Gavazzi is now present in markets all over the world. Twenty years ago Carlo Gavazzi achieved leadership in the European industrial automation market and today we have factories or offices in sixty-four countries from the Pacific Rim in the East to the United States in the West. Quercus Technologies is an international company with a consistent presence on the parking market for more than 15 years. Quercus know-how, expertise and long-experience on the market are main assets that brought us worldwide recognition as specialists in vehicle detection technology and made Quercus a global referent among companies that develop and commercialize license plate recognition products. VIMOC has introduced Rosella™, an AI platform that extends cloud computing down to the infrastructure by using an Artificial Intelligence (Cognitive Computing Network) framework and Edge Computing to deliver real-time data processing that pushes processed “intelligence” to the Cloud, rather than just large amounts data. Rosella™ achieves a high level of operational efficiency, reducing the complexity, cost of integration, and eliminating the single point of failure. The SURVISION solutions are aimed at security forces, car-park management companies, local authorities and public or private road and motorway management companies. These solutions, based on image-processing technologies, are marketed through a network of integrator partners in some forty countries. R&D accounts for approximately 55% of SURVISION's resources. In 2012, SURVISION joined the ERMIC group, which includes four other companies in the sectors of road traffic, aeronautics, meteorology, military and urban equipment. 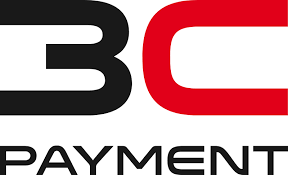 3C PAYMENTS' technology makes it convenient and secure for consumers to pay in person and online with Point-to-Point-Encryption (P2PE) Solutions and specialized EMV tokenized transaction flows which simplify the payment experience. Our secure 3C Integra hosted platform unifies multiple payment channels, allowing merchants to confidently trade cross-border in over 40 countries worldwide with multiple acquirers through a standardized infrastructure integrated into onsite and ERP systems. Full control of transactions can be managed with flexible terminal configuration for online and offline trading and with real-time, local or centralized reporting that is accessible from anywhere through our web portal.